Star Wars #29 is a strong issue, with mysteries revealed in a way that grounds this arc in the fertile soil of the GFFA. Jason Aaron has been weaving an unusual tale of late. In the distant past, sometime before the Clone Wars, Jedi Master Yoda has been drawn to a troubled world. 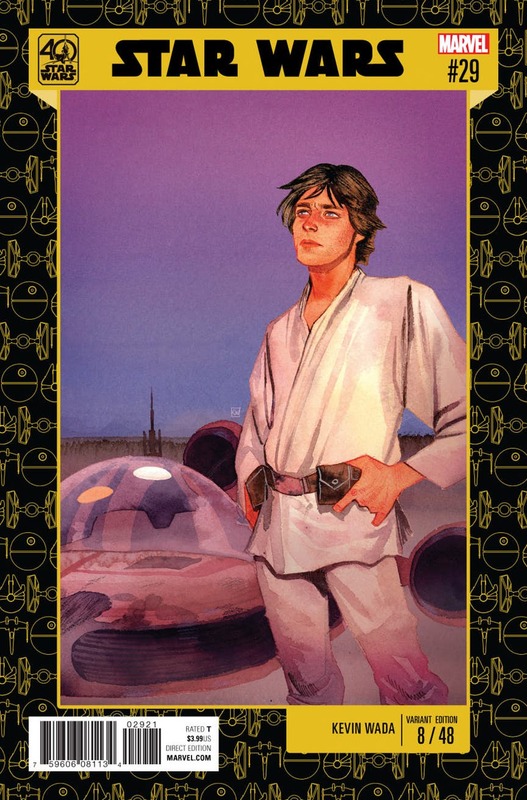 For some reason, that tale has become relevant to Old Ben Kenobi in the years between Revenge of the Sith and A New Hope, and he’s documenting it in his Journal. Finally, that Journal has been discovered by Luke Skywalker, who’s reading the narrative – and, eager to learn the lessons of the Jedi, isn’t quite willing to wait. Star Wars #29 is the turning point of the narrative, where we finally begin to get answers to the mysteries of the world Yoda is exploring. And those answers twist the story in a whole new direction, one that finally draws it back to the heart of Star Wars and the Jedi; the battle between the Light and the Dark. 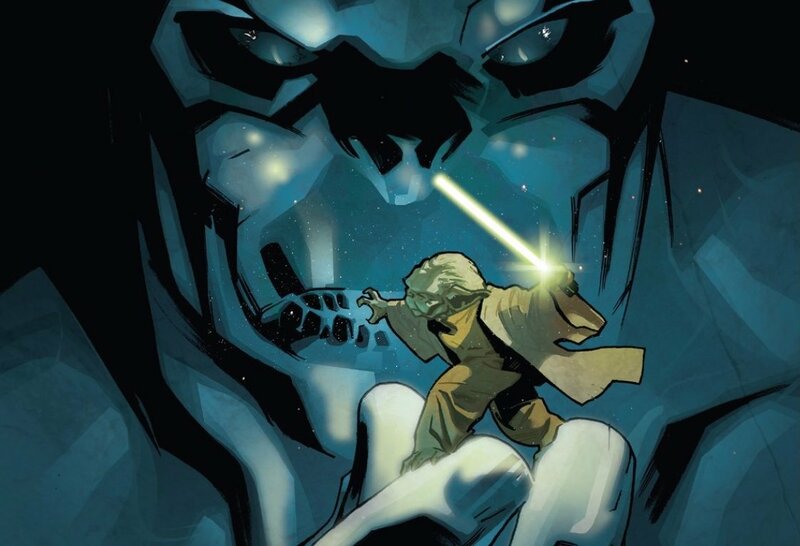 The revelation that the mountain is alive is a fascinating one, but Jason Aaron handles it in an unusually creative way; it seems the mountain is unusually open to the Force. So the war that rages on the planet’s surface finally circles back, with the Rockhawkers twisting the mountain with the power of their hatred and fear. Yes, the mountain itself now embodies the battle between the Light Side and the Dark Side. In the present-day, of course, Luke assumes this tale has something to teach him; so, not even troubling to finish reading the Journal, he heads to this world – and is clearly being drawn into finishing the tale himself. I’ve had my concerns about this story. 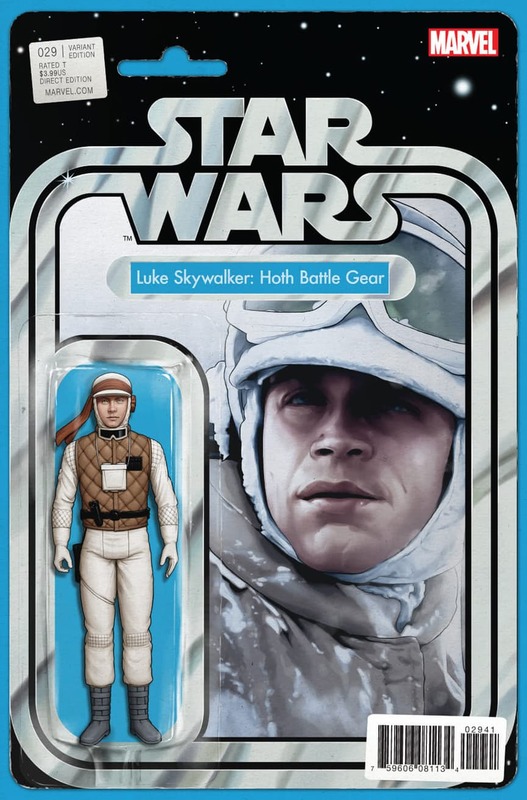 As a concept, it’s seemed to be a strange one, and I’m not sure I like the idea of Luke knowing about Yoda before The Empire Strikes Back; but this is definitely a good way to pull it off. Aaron’s strange, twisty narrative has circled back to a core Star Wars concept now, grounding the tale in the fabric of the Galaxy Far, Far Away. What’s more, Salvador Larroca’s art is beautiful. There’s a single moment when the mountain’s hand tears out of the ground; that panel alone is breathtakingly rendered, and he gives the whole book a strange, haunted quality. I’ve certainly had some issues with this arc, and some of them are still niggling. 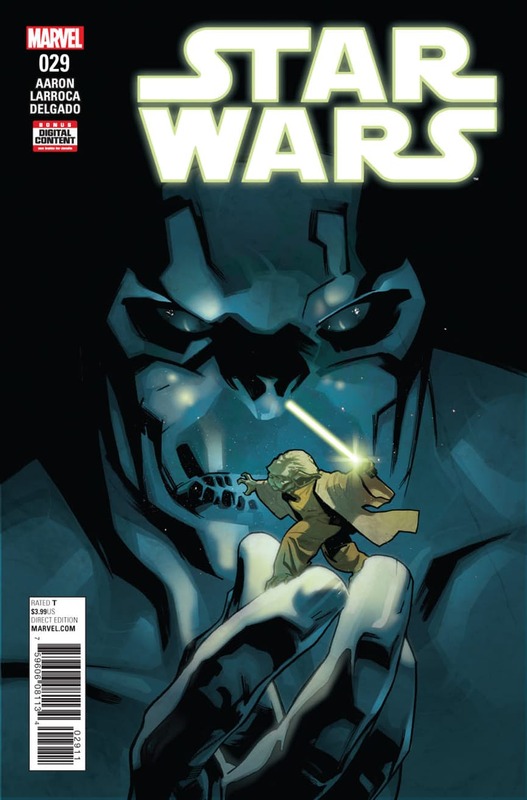 But now, after Star Wars #29, I’m left not concerned – but intrigued, fascinated to see what comes next. It seems likely that Star Wars #30 will be a classic issue, one that weaves between three time-zones and brings matters to a head. This should be good.